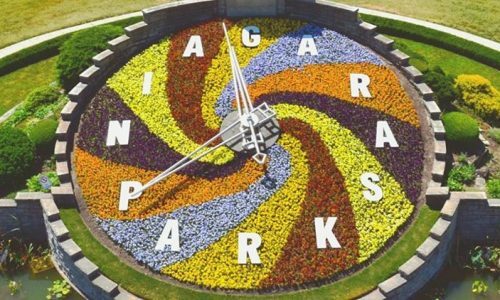 Travel along the Niagara Parkway towards Niagara-on-the-Lake to visit the famous Floral Clock, located north of the Botanical Gardens. 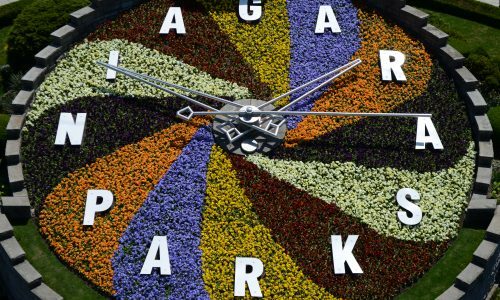 The intricate designs on the face of the Floral Clock are created with up to 16,000 carpet bedding plants and are changed twice each year. 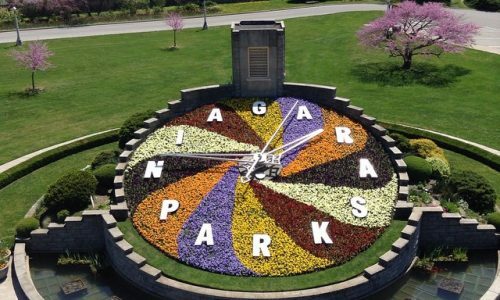 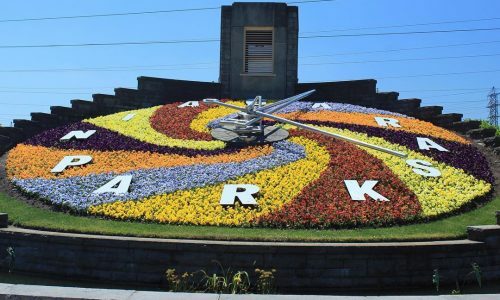 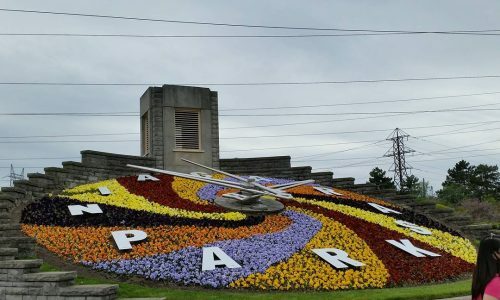 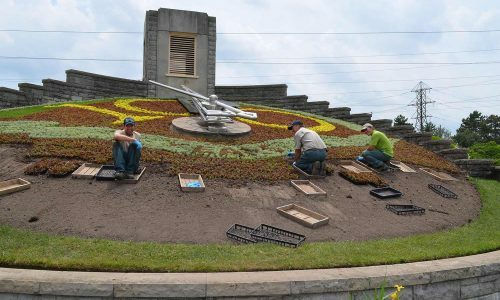 The planted face of the Floral Clock is maintained by Niagara Parks horticulture staff, while the mechanism inside is kept in working order by Ontario Hydro. 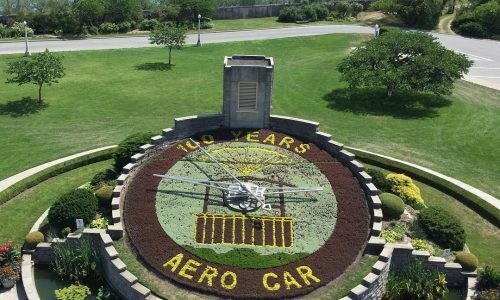 The tower at the back of the clock houses Westminster chimes that greet each quarter hour. 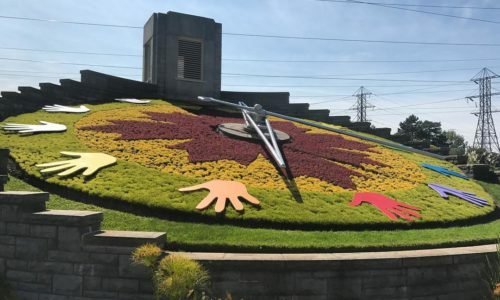 Twice a year, the face of the clock is filled with thousands of carpet plants and colourful annuals including Alternanthera, Santolina and Privet.